Arla Foods Ingredients has launched a new campaign called ‘Pure Dairy’ to highlight how its range of Nutrilac® dairy ingredients satisfies growing consumer demand for natural products with ultra-clean labels. Research shows that more than one third of shoppers in the EU (35%) are proactively avoiding food and drink products that contain artificial additives or preservatives, while the same proportion say they regularly check the ingredients list on pack. Furthermore, 34% of EU consumers say they would never buy food that contains genetically modified ingredients. In the UK, meanwhile, Mintel research has found more than 70% of consumers are interested in avoiding foods with E-numbers, while over 80% of US consumers are seeking more natural foods. 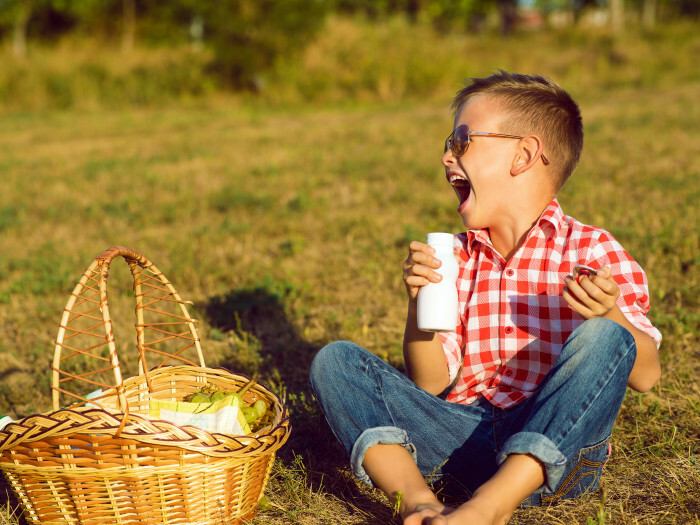 Among consumers in France, Italy, Spain and Poland, almost 30% prefer to buy dairy drinks that are non-GMO. The new Pure Dairy campaign underlines how Arla Foods Ingredients’ portfolio of natural solutions for dairy products are made from whey proteins extracted from milk that is produced by grass-fed cows, hormone-free, non-GMO and free of antibiotic and pesticide traces. To illustrate how processors and brands can tap into Pure Dairy, Arla Foods Ingredients has created a new high-protein drinking yoghurt concept product that contains just five ingredients – Nutrilac® YO-8075, sugar, cream, skimmed milk and fruit preparation. Total protein content is 9.5%, with just 95 calories per 100g and only 1.37% fat. The drink is the perfect template for formulating Pure Dairy products that will resonate with consumers. Torben Jensen, Senior Category Manager for Fresh Dairy Products at Arla Foods Ingredients, said: “Many consumers today look twice when choosing which dairy products to buy from the local store. While yoghurts, cheese and dairy desserts are still seen as naturally healthy, they may contain additives or other components that people want to avoid. Arla Foods Ingredients’ Nutrilac® solutions for dairy products deliver multiple functionalities, including customised texture, creaminess, stability and in some cases higher yield, all without the need for non-dairy additives. They offer reduced syneresis, a mild and clean taste, and a pleasant and easily drinkable viscosity. They are suitable for use in applications such as drinking and stirred yoghurts, cream and cottage cheeses, low-fat traditional cheese, and quark desserts.